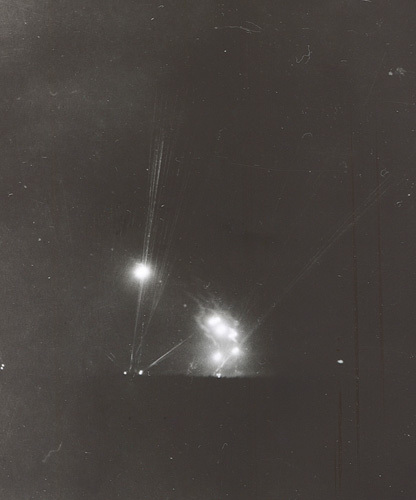 One night in July 1943, US guns at Gela, Sicily, hurled fire at unseen planes overhead. The result was the war’s worst friendly fire incident. Troop transport planes carrying American paratroopers careened all over the sky, bursting into flames, disintegrating, spraying men in all directions. “It was horrible,” recalls Charles E. Pitzer, who was a captain and pilot of one of the planes. A day earlier, July 10, 1943, the Allies had landed 170,000 troops at Sicily in the largest amphibious operation to that point in history. 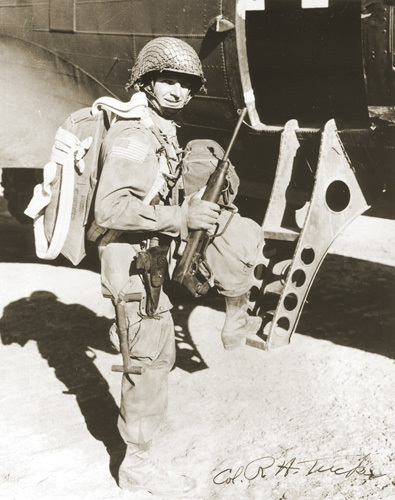 Now, 2,000 paratroopers of Colonel Reuben Tucker’s 504th Parachute Infantry Regiment were scheduled to make up a second attack wave, jumping into the harbor city of Gela from C-47 Skytrains and C-53 Skytroopers (C-47s customized for parachute operations). Instead, fellow Americans would kill many of Tucker’s men in the greatest friendly fire disaster in American history. The operation was codenamed Husky, the Invasion of Sicily, and it began on the night of July 9–10, with Pitzer and 226 other pilots dropping 2,200 paratroopers of Colonel James Gavin’s 505th Parachute Infantry into Gela. 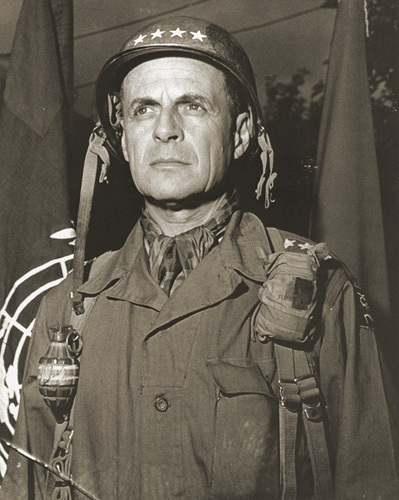 The 82nd Airborne Division, commanded by Major General Matthew B. Ridgway, thus launched the first-ever significant combat parachute assault by Americans. Several transport planes were lost, but that gave no hint of what was to come. Amphibious landings started in the morning. German aircraft spent the day attacking the invasion fleet, fraying gunners’ nerves. Ridgway, considered too old to parachute, reached Sicily by sea. He concluded that a second airdrop was unnecessary, but by then the momentum was unstoppable. A second drop, initially planned for the 10th, was hastily rescheduled for the 11th. One hundred forty-four C-47s and C-53s would carry the soldiers of Tucker’s 504th. An order was issued to ensure that ships would be informed about the paratrooper transport planes passing overhead. But many of the ships’ crewmen insist to this day that they never saw the order. Incredibly, naval commanders told Ridgway the navy could not guarantee the safety of his force. On the night of the 11th, the C-47s and C-53s lifted off from unpaved, dust-strewn runways around Kairouan, Tunisia, and flew toward Sicily. Pitzer remembers cruising at 400 feet, the altitude at which drops were made. “It was radio silence and lights out,” said Pitzer. Approaching the armada of Allied ships offshore from Gela, Pitzer and other transport pilots flew in V formations of nine planes each. Gunners aboard the ships had been shown recognition slides to help them distinguish aircraft types. Twin-engine aircraft of similar appearance in these briefings included the C-47 and German Junkers Ju 88 bomber. But as darkness Infantry Regiment were scheduled to make up a second attack wave, jumping into the harbor city of Gela from C-47 Skytrains and C-53 Skytroopers (C-47s customized for parachute operations). Instead, fellow Americans would kill many of Tucker’s men in the greatest friendly fire disaster in American history. On the night of the 11th, the C-47s and C-53s lifted off from unpaved, dust-strewn runways around Kairouan, Tunisia, and flew toward Sicily. Pitzer remembers cruising at 400 feet, the altitude at which drops were made. “It was radio silence and lights out,” said Pitzer. Approaching the armada of Allied ships offshore from Gela, Pitzer and other transport pilots flew in V formations of nine planes each. Gunners aboard the ships had been shown recognition slides to help them distinguish aircraft types. Twin-engine aircraft of similar appearance in these briefings included the C-47 and German Junkers Ju 88 bomber. But as darkness fell, most gunners would never see the aircraft they were about to shoot. The first two formations of transport planes followed their prescribed course and discharged their paratroopers squarely on target. These would be the only airborne soldiers to float down safely to the correct drop zone. When the next formation appeared over the shoreline, a never identified nervous gunner on the beach began shooting. Other scared gunners on shore and aboard ships sent volleys of fire lofting into the night sky. Accusations would later descend on the gunners like artillery fire. Maurice Poulin, a coast guard seaman 1st class who manned a 20mm gun on the troop transport USS Leonard Wood (APA 12), calls the blame a “bum rap.” “We had been under attack by German dive bombers,” he says. “We did not know paratroop planes were coming.” Poulin went on to say that ships had orders “to elevate guns at 75 degrees and fire when attacked.” Crews in the gun tubs aboard the Leonard Wood sent their volleys of fire soaring skyward without seeing their targets. “We shot down many planes but had no knowledge of whose they were,” Poulin said. Reuben Tucker was aboard a C-53 that began to disintegrate before reaching the shoreline. After a confused conversation between him and the pilot, the plane made a U-turn to fly back toward Gela. Under intense fire from friendly guns, Tucker and his paratroopers jumped. On the ground, he removed his helmet and banged it against a tank hull to alert the crew to stop firing on the planes. It seemed as though every Allied gun battery on the Sicily beachhead and offshore was blowing C-47s and C-53s out of the sky. The US Army’s own official history reads, “The slow-flying, majestic columns of aircraft were like sitting ducks.” Dozens of transport planes were hit. One exploded in midair. Others, on fire, tried to ditch to save the paratroopers. Squadrons broke apart, tried to re-form, and scattered again. Eight pilots turned back for Tunisia still carrying their paratroopers. Those over Sicily dropped paratroopers wherever they could. Some of the jumpers descended into the sea and drowned. Some were killed by friendly fire while dangling from their chutes in the night sky. One transport plane caught fire and headed down, veering sharply to avoid hitting an Allied ship. Careening across the water, the plane trailed a long orange plume of flame as men, some of them on fire, rained from the fuselage. At the time, the shoot-down over Gela was the worst friendly-fire incident in US history. Three hundred eighteen American soldiers were killed or wounded. Twenty-three transport planes failed to return; others limped back to Tunisia badly damaged, one riddled with 1,000 holes; many landed with blood all over their floorboards. Brigadier General Charles L. Keerans, Jr., the 82nd Airborne’s assistant commander, was aboard a plane that was lost at sea. Why did Americans kill so many of their own that second night over Sicily? Gunnery fire-control systems were inadequate and training was poor; gunners needed better preparation in aircraft identification, and pilots needed more practice in night formation flying. Improvements would come, and a year later, they would bear fruit in the Invasion of Normandy.